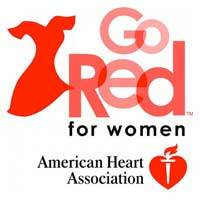 Webster Wellness thanks all who participated in the Go Red for Women campaign supporting heart health and fighting heart disease in women. Webster participants donated $380 to the American Heart Association. Corinne Hilbert, Office of Advancement, won the raffle and will receive a wellness gift valued at $20. 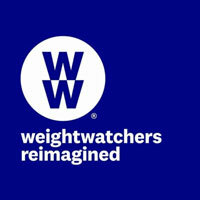 The Webster Wellness Committee is bringing Weight Watchers (WW) back to campus. The program will be open to faculty, staff, and students. To start things off, WW will host a free information session on campus. 20 people are needed to commit to attending by Thursday, Oct. 25 before the session date. The 2018 Webster Wellness Fair saw interest from many students and staff with 100 pre-registering for the fair and many others who were walk-ins. “Invest in Your Wellness” was the theme of the fair. It took place Sept. 10-14 in the Sunnen Lounge. Multiple students and staff are the winners of a $15 wellness item of their choice from Amazon.com: Ekya McDowell (student), Heather Arora (staff), Maureen Weil (staff), Jody Paterson (staff), Vy Nguyen (student). All faculty, staff and students are invited to the 2018 Webster Wellness Fair events beginning Monday, Sept. 10. This year's theme is "Invest in Your Wellness.” There will be treats and small giveaways each day. Effective Aug. 15, 2018, Webster University’s main campus in Webster Groves will be designated as a tobacco-free and smoke-free campus, joining the many universities across the United States and in Missouri in setting this policy. This policy change reinforces our commitment to preserving and improving the health and comfort of our students, faculty, staff and guests. Simone Cummings was quoted in the St. Louis Post-Dispatch about a proposal to build new cancer treatment centers at several Mercy hospitals and clinics. 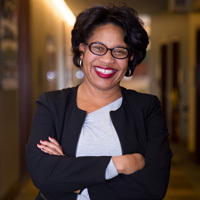 ... Christina Gilbert was quoted in a story about what prospective students should ask at college fairs. ... 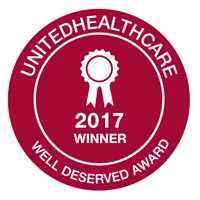 The Pharmacy Choice medical news service covered the institutions like Webster University that recently won UHC's "Well Deserved" award for wellness. 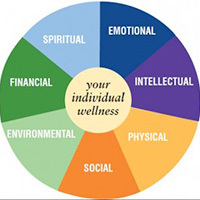 Webster University has been selected as one of 10 national recipients of the UnitedHealthcare Well Deserved Award, program recognizes those organizations that demonstrate a commitment to worksite wellness. Winners demonstrated the highest level of commitment to worksite wellness while leveraging wellness programs, tools and resources from UnitedHealthcare. All faculty, staff and students are invited to the combined Webster Wellness & Student Success Fair on Wednesday, Sept. 13, 11 a.m.-2 p.m. in Grant Gym. This year's theme is "Healthy Selfie": Expand your horizons and create a circle of resources for your selfie. There will be drawings, demonstrations, and more than 50 exhibitors on wellness and student academic success. The Webster Wellness Committee would like to congratulate the 22 participants of the 2017 Webster Wellness 1st Annual “Try”-athlon that took place from April 17-23 in the University Pool & Fitness Center. Participants competed against fellow members of the Webster community in one of the three divisions (All-in-a-day, One-Week Format and Team). All participants are invited to the Final Celebration on April 28, 2017 @ Noon in the Library Conference Room. Webster Wellness reminds employees and their family members enrolled in UHC that they can receive a 50 percent reimbursement—up to $100 each quarter per employee—for participation in health promotions programs or memberships. The documentation deadline to receive a first quarter payment is Wednesday, April 5, 2017. Destination: WELLNESS is a 5-week challenge open to all students, staff and faculty at all campus locations. 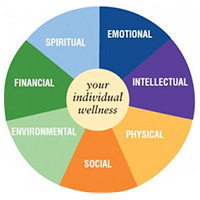 Focus on your health and wellness from the inside out, based on your personal goal(s) that you set in one or more of the wellness elements. Make wellness fun and holistic by participating in events such as yoga, interactive games, financial seminars, etc. during our weekly Wellness Wednesday events. Webster Wellness reminds employees and their family members enrolled in Webster's United Healthcare (UHC) plan that they can receive a 50 percent reimbursement — up to $100 each quarter per employee — for participation in health promotions programs or memberships. 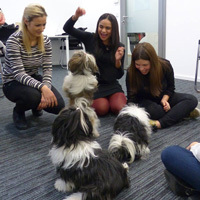 With finals and the end of the semester approaching, the Vienna campus offered students a range of services to handle stress and time management -- from a soothing puppy visit to a "Night Against Procrastination" with the Writing Center. Librarians and writing tutors were available until 10 p.m. to help students stay ahead.